“My parents had a pub and knew the people running the zoo at that time. I spent every free moment with the animals.” An international career in conservation was cultivated right there, on his South Devon doorstep. Nic went to school in Torquay, became a zoo keeper, spent time in Africa working with primates – and then made a radical change of direction. When he came back from Africa he went into pub and restaurant management, working for both British Airways and Whitbread. He then managed a vet practice in Hastings before the job of running the Shaldon Wildlife Trust came up in 2012. Nic was happy to come home. Shaldon may be a small zoo but these days it has a big reputation for conservation – and that’s mainly down to Nic. He’s been active nationally and internationally with breeding programmes, conservation projects and committees. He’s well-connected in the zoo world; he’s Chair of the Living Collections Committee for the British and Irish Association of Zoos and Aquariums and an active participant in animal management activities at European level. As a zoologist, his area of expertise is small primates such as callitrichids – a family of New World monkeys including marmosets and tamarins - as well as Asian primates like the slow loris, the world’s only venomous primate. Outside of work he likes to spend time on his boat; having just built his own house from scratch, he probably deserves a lazy summer. But the one thing he won’t be at Paignton Zoo is idle; he takes on the challenge of a zoo under TB restrictions, which makes managing mammals especially tricky. “My time in management has taught me a lot about working with people. My style is open and approachable. 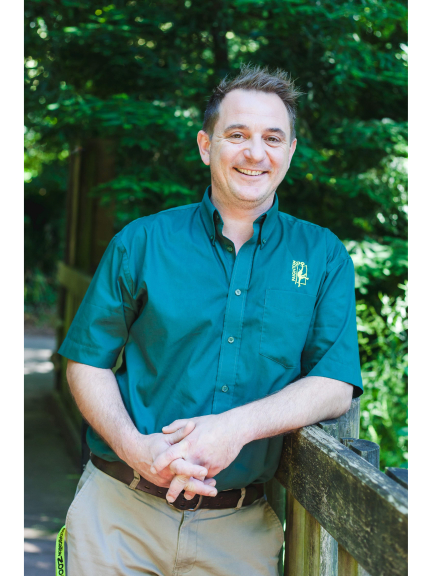 It’s all about the team – both my own department and the Zoo as a whole, with people from different disciplines working together without boundaries.” The Whitley Wildlife Conservation Trust is the charity that runs Paignton Zoo, Living Coasts and Newquay Zoo. For more information go to www.paigntonzoo.org.uk or ring 01803 697500.